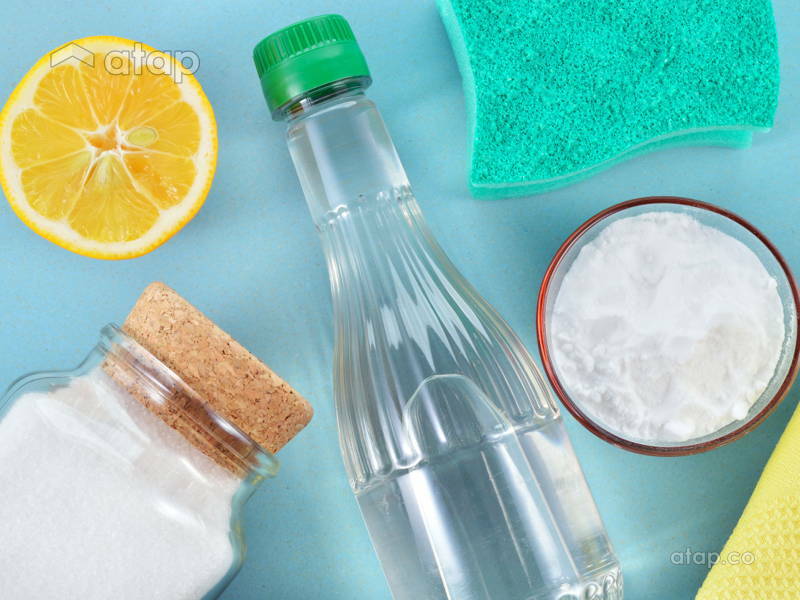 If you love returning to a clean home but hate prolonged exposures to chemicals, then read on! For centuries, (wo)men have been relying on these natural ingredients to keep their home spick and span. Apart from making refreshing drinks and zesty salad dressings, the acidic properties in these citrus fruits have proven themselves to be highly effective at removing stains, rust, and odour. Coat the lemon wedge with baking soda and gently rub onto kitchen counters. Wipe the area with a wet sponge and leave to dry. 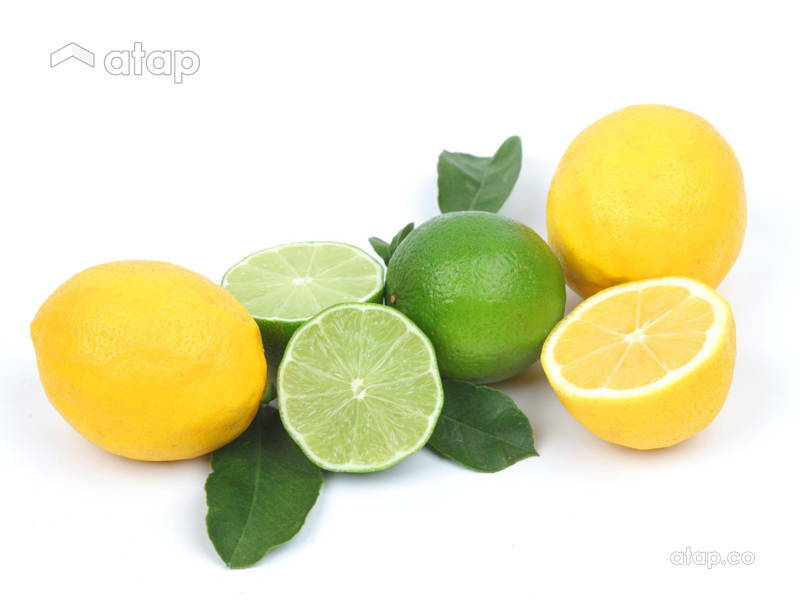 To get rid of lime scale build up, rub a wedge of lemon all over the faucet and let it sit overnight. Wipe it down to clean the next morning. Level up your dishwashing detergent by adding a teaspoon of lemon juice. This will amplify its grease-cutting power. 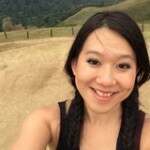 When handling pungent ingredients like seafood, garlic, onion, and durian, the smell can (and will) linger on your fingertips. Rubbing lemon juice on your hands will neturalise the odour. Favourite white top is looking more cream lately? Add ½ a cup of lemon juice during the rinse cycle to restore its colour. Tackle stubborn grout stains with a paste made up of lemon juice and cream of tartar. Apply the paste with a toothbrush and let it sit for an hour or two before rinsing off. This cheap and all-natural kitchen staple doesn’t go easy on bacteria and dirt. You’d be surprised at how many things you can use them for. Dip a cloth in a mixture of equal parts water and vinegar to wipe up spills and stains. 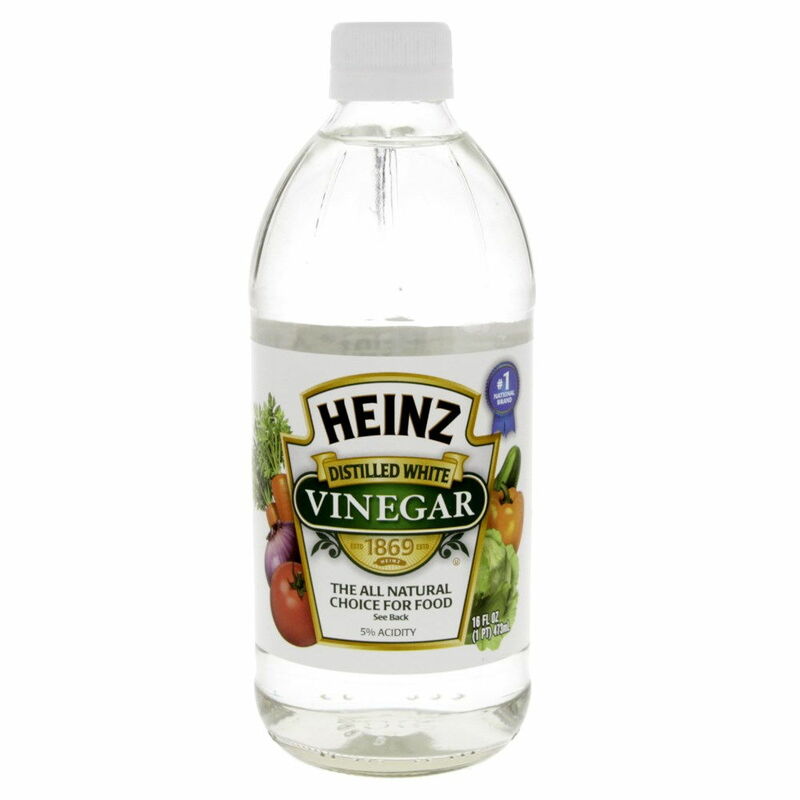 To remove smells and sanitise, spray pure vinegar onto your cutting board. Rinse and dry as usual. Put equal parts of vinegar and water into a microwave-proof glass bowl. Microwave for two minutes and wipe away build-up without a fight. Pour some vinegar into a plastic bag and tie it to the showerhead, making sure the head is completely submerged. Leave it overnight and remove during your next shower to get rid of lime scale buildup and restore shine. Add a few drops of essential oil into a spray bottle filled with vinegar. Spritz lightly on your carpet, making sure to do a test patch for fading first at a hidden corner. In a 1L bottle, put 1/3 cup of vinegar and 1/4 cup of rubbing alcohol. Fill up the rest of the way with water. This mixture can be decanted into spray bottles and used with lint-free cloths for windows and glass doors so clear you could walk into. While more popularly known for its hand in producing cakes and cookies, baking soda lives a nefarious double life of busting stubborn dirt. Spills and stains, baked on by the heat, can leave your grates looking like a sorry mess. Wash the grates as usual to remove surface grime. Make a thick paste with baking soda and water, and coat generously on the burners. Leave the paste on for 20 minutes to soften food residue before scrubbing with a sponge or scouring pad. Fill one part baking soda to two parts water and let the mixture sit in the cup overnight. The next day, rub with a sponge and rinse as usual. If your creative little princess expressed her muse on your white living room walls, baking soda can help with that. 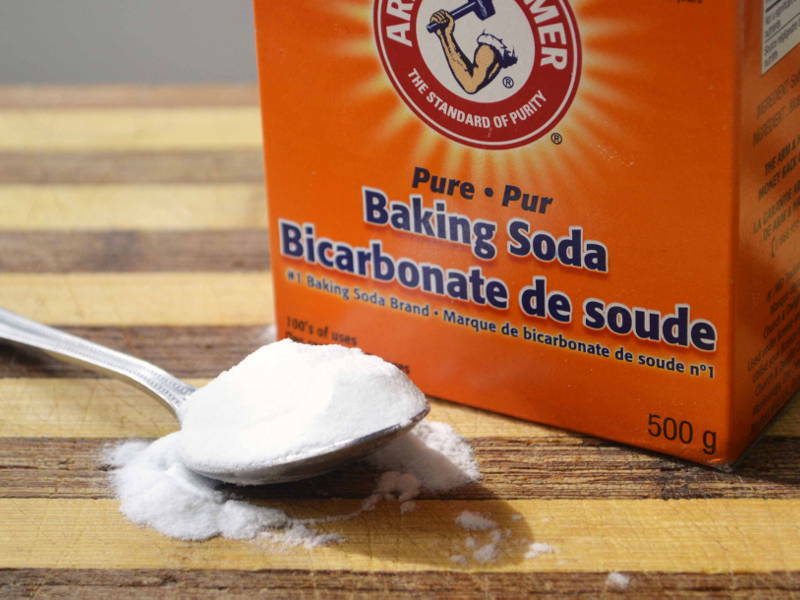 Add some water to baking soda to form a thick paste. Apply enough paste to cover the crayon marks. Let dry completely before brushing off the excess with a dry cloth. This is a really simple way of thoroughly cleaning out your coffeemaker. Run an empty cycle with a cup of water and ¼ cup of baking soda. Rinse and run another 2 to 3 cycles with clean water. 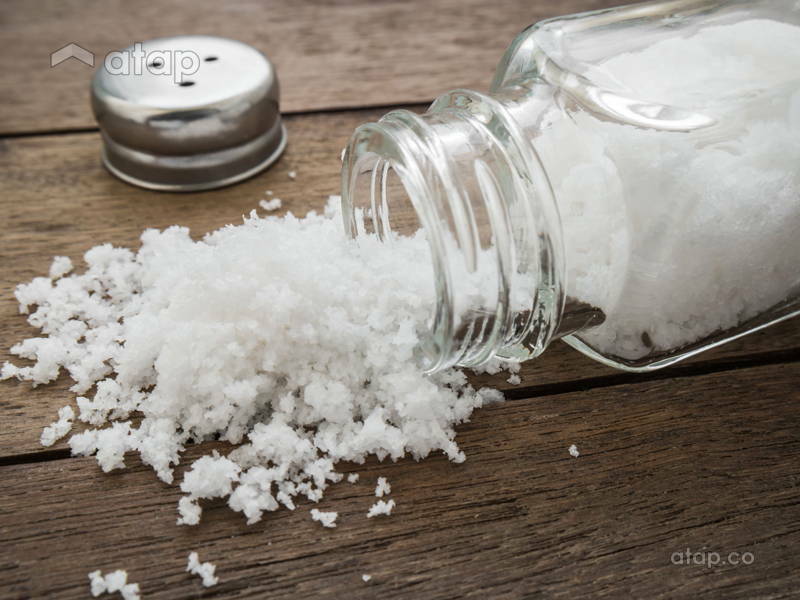 Whether coarse salt, kosher salt, or standard table salt, they’re all great for adding an extra scouring kick thanks to its grainy texture. Get rid of stubborn stains without having to use a scouring pad which can scratch the glass. Just add a little salt while sponging for more abrasion. If liquid bubbles over during a bake or while taking it out, all you need is to pour a little salt over the spill to soak it up. Wipe away with a damp cloth or sponge once the oven is cooled. Apart from making fries and nuggets, vegetable oils like olive and sunflower oils can help with getting rid of oil-based stains while still having a few nifty tricks up their sleeves. As easy as rubbing with vegetable oil until the paint comes off, then soaping and rinsing as usual. Use a damp sponge to wipe off excess dirt before starting. Drop a small bit of vegetable oil on a soft cloth and begin rubbing the surface to remove scuff marks. Cooking misadventures on a cast iron pan is very salvageable. Add some coarse sea salt to a bit of oil to make a paste and start scrubbing until all the burnt bits come off. These powerful little vials of oils are not to be sniffed at. The concentrated oil packs a powerful punch of nature’s goodness that ranges from relaxing to invigorating to killing bacteria and mold. 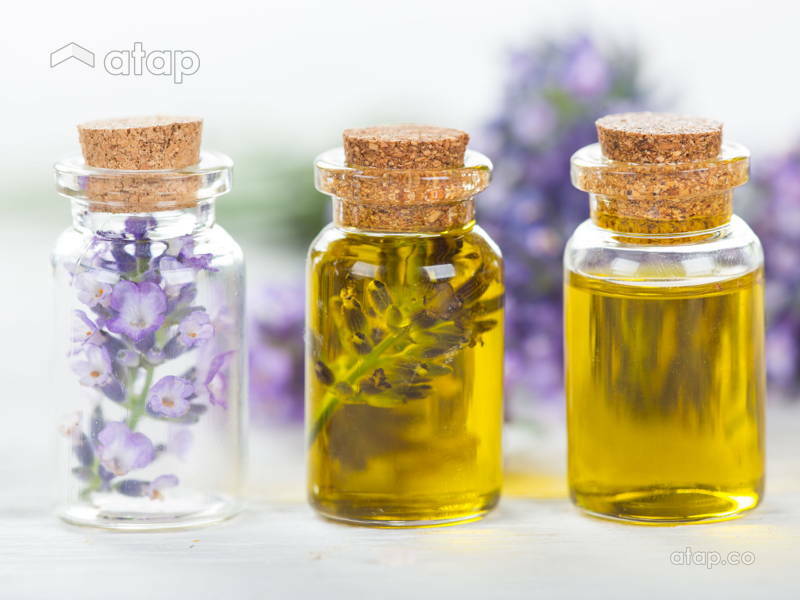 Add 1 part water to 1/3 part white vinegar and about 20 drops of tea tree, lavender, or eucalyptus oil. Soak combs and brushes in this mixture for 20 minutes before rinsing and drying. Bet you didn’t know that orange essential oils are perfect for removing gum from where it doesn’t belong. Apply with a cotton ball on affected area until the gum loses its tackiness and falls off. Wash straight away if applied on clothes. In spite of its sinister-sounding name, borax is a naturally-occurring mineral that has been used in households for over a century. They can be found in most hardware stores like Ace Hardware. Can clean up your fine china with a dishpan full of warm water and ½ cup of Borax. Soak and rinse very well. Bring dull-looking porcelain and aluminum cookware back to its gleaming glory. Sprinkle a bit of borax over your cookware and rub with a damp cloth. Rinse thoroughly to remove traces. 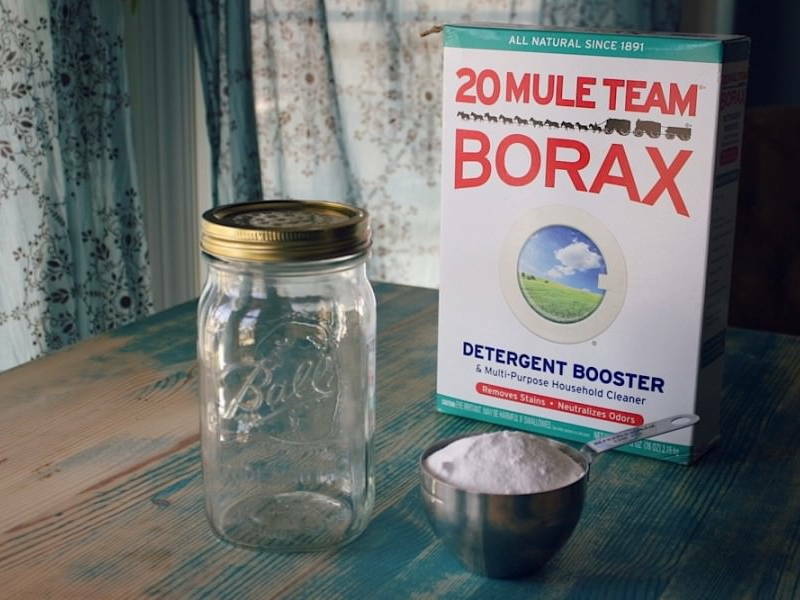 To get out stubborn toilet bowl stains, pour some borax into the bowl and leave it overnight. The next day, take a toilet brush and scrub around a few times before flushing. Mix lemon juice with a bit of borax to create a paste. With a damp cloth or sponge, rub it over the rusted area to clean. The same steps above can be taken to remove stains on stainless steel and porcelain sinks. Non-poisonous in small quantities to humans, borax is deadly to insects. If your home is pet- and kid-free, you can sprinkle equal parts borax and sugar around the house to keep ants and roaches at bay. Soak your garbage bins in water and borax for a few hours. After rinsing out and drying, you can keep bugs and odours away by sprinkling a bit of borax at the bottom.